A lot of Star Wars fans have been complaining about the badly developed character of Captain Phasma (played by Gwendoline Christie) in the newest installment of the legendary movie franchise. According to the fans (and many influential film critics alike), the character has very little impact on the whole plot. However, everyone agrees that she looks totally awesome. But there’s some great news for all of the people who want to see more of Captain Phasma, as Christie herself has recently confirmed the return of the movie character and hinted that we will see more of her. The talented actress has a lot of combat experience, thanks to her roles in projects like Game Of Thrones, and many big-screen lovers argue that it would be a complete shame not to use any of it. 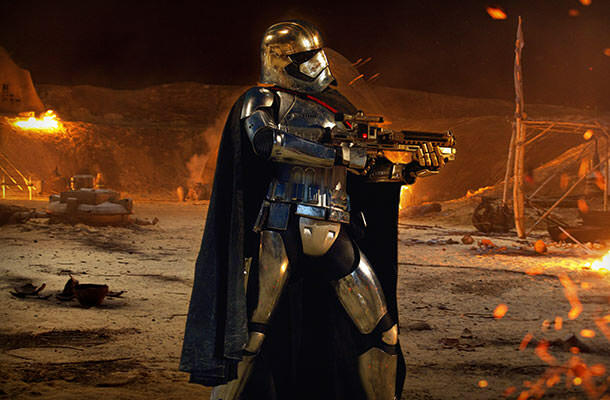 It has also been rumored that the popular character of Captain Phasma will have the same level of menace that Boba Fett granted the movie with his first appearance.